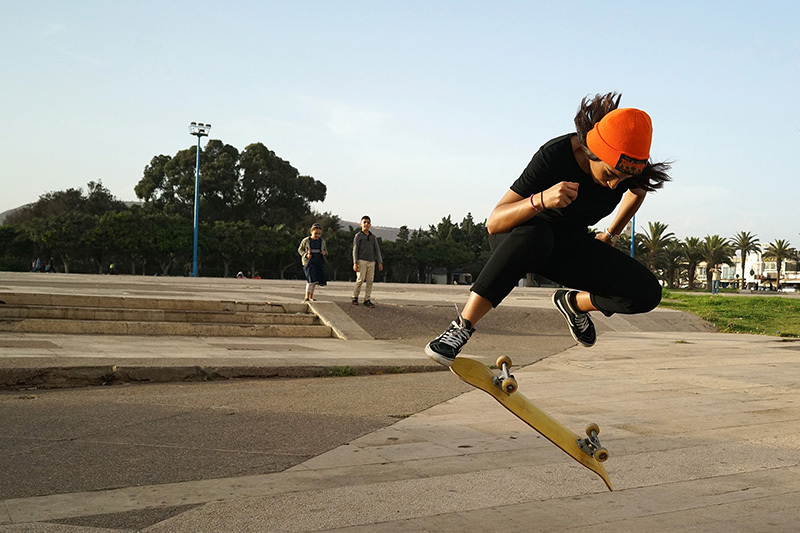 The Pioneers is a series of portraits of Moroccan women among the first to practice a sport in Morocco, but this is not a project about sport. All these women come from different backgrounds, practice different sports and have to overpass different obstacles, but all of them have to fight to live their passion and are proud of their success. Nothing was taken for granted, these women are pioneers in sport but in the first place pioneering for their own rights. The project is made of 13 portraits and interviews. The project received the support of Institut Français du Maroc. Fatima Zahra, maried, 25 years old, member and choregrapher of a batucada band from Salé. "When we’re on tour abroad, some people have difficulties to understand we are moroccan, they’re so surprised to see us beautiful and independant. They have such a negative image of Moroccan women." Wafaa, 24 years old, front desk manager, skater since 2009. "It's not the religion that oppresses women, it's our traditions"
Meriem, maried, 26 years old, K1 and MMA world champion.